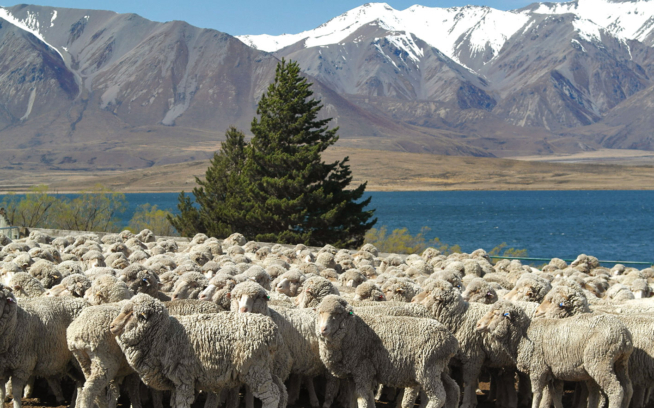 Patagonia’s finished goods factories package each individual product we make in a polybag. Some of our direct customers (people who order from our catalog or Patagonia.com) have expressed disappointment in the amount of waste generated by polybags. This customer feedback inspired us to investigate ways to reduce the amount of plastic waste generated from Patagonia’s product packaging. Editor’s note: The tone of today’s post is a bit formal due to its origins as an internal case study. It’s a good look into the workings of our company and the challenging decisions we’re faced with as we try to balance customer satisfaction with environmental impact. 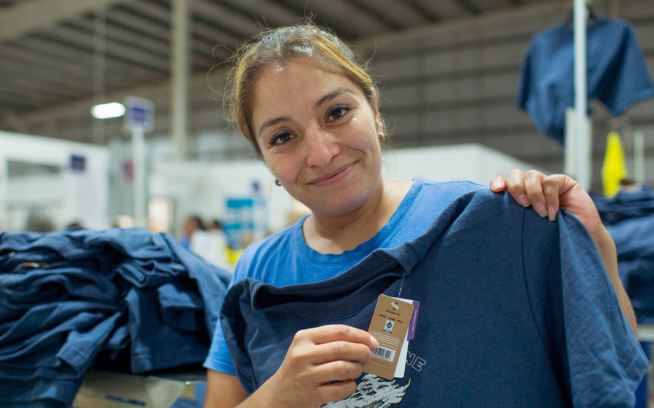 In order to evaluate how Patagonia can reduce plastic in our supply chain we conducted several tests at our Distribution Center (DC) and surveyed our customers. Through this study, we determined that polybags are critical to insuring that garments stay clean from the finished goods factory through the DC. If we eliminated the use of polybags, garments would be damaged, resulting in both financial and environmental costs. Energy, water and resources are used to make each product and we want them to be worn. A damaged product that is unwearable has a far greater environmental cost than manufacturing a polybag. We invite you to read on to see our progress in examining this area of our distribution process and how we’re working through potential ways to lessen our impact going forward, while making sure our products reach you undamaged. Each Patagonia product we sell is packaged in a polybag at the finished goods factory and arrives at our DC in cartons. The boxes that arrive from the factories are often broken, torn, or open upon arrival. This exposes finished products to dirt, moisture and damage. The polybag protects the product from becoming dirty or damaged at the factory, during transit to the DC and while the product is stored, processed and packed at the DC. Additionally, the polybags keep stored products clean in the wholesale and retail environments. It is essential for the product to remain protected in each of these supply chain steps. Currently, Patagonia does not have specific requirements for the size and type of polybags used by our finished goods factories and the polybags in use do not contain recycled content. Despite the functionality of polybags, they are perceived as waste by many customers and employees. Shipping journeys can be perilous. Polybags protect our products even if the box is damaged in transit. Objective: Determine if it is possible to completely eliminate the use of polybags without incurring damage to products that would make them unsellable. Result: Products were damaged when they were run through the shipping system in Reno without a polybag. In our experiments, about 30% of garments that went through the system without polybags were damaged beyond the point of being sellable. This indicated that it is not possible to process products in the Reno DC without polybags. Test: We ran 40 un-bagged, tied products through the Reno picking system in order to measure the damage incurred. All of the products were returns from the retail stores in pristine condition with hang tags attached. We folded and tied each of the 40 products with paper ribbon and placed the pick labels on both the product and the hang tag to determine where it was most effective. 17 of 40 products (42.5%) fell out of the tie by the time they arrived at the packing station. 12 of 40 products (30%) showed visible signs of damage and dirt by the time they reached the packing station. We also found the placement of the pick label to be a challenge. We placed the pick labels on both the product and the hang tag to determine where it was most effective. The pick label did not stick to 12 of the 40 materials. In a real product order, the pick label cannot be placed on the hang tag because it will cover up the bar code for the product that must also be scanned in the outbound product packing process. Objective: Determine if paper mailers are effective shipping containers in order to eliminate the use of plastic mailers. Our current plastic mailers are made of 40% post-consumer waste (PCW) content and were down-gauged from 3.5 to 2.5 millimeters which reduced our plastic use by 30%. Our mailer bags are recyclable, but usually must be taken to specific receptacles for plastic film recycling, such as those located in grocery stores. Result: Both brands of paper mailers we tried suffered considerable damage prior to leaving Reno. Damage included separated seams and tearing, and mailing labels peeled off several orders. Test: In an effort to find a way to eliminate plastic in our mailing containers we selected two brands of paper mailers to test. Both options were 100% paper, did not contain any plastic or fiberglass inner structure, were lightweight to minimize shipping costs and would be completely recyclable in common curbside recycling systems. We used three sizes of each brand in our tests. We documented the journey of the paper mailers through the Reno system from packing station to their exit and respective mail carriers. We encountered problems with these bags before they left the DC. A hole like this could soil an un-bagged garment during shipping. Objective: Determine if it is possible for the Reno DC to remove polybags before shipping customer orders without damaging products. This will enable Patagonia to retain and recycle more plastic bags. Result: It is possible to remove polybags before shipping customer orders, but it takes time to remove each polybag. When we extrapolated this time across an entire calendar year we estimated that it will take an additional 5,555 hours of work per year in labor to unbag every product we send. Removing the bag and refolding the garment at the shipping station. Objective: Survey our customers to determine if they prefer to receive products in polybags or if they prefer to receive products that aren’t packaged in polybags. Result: Only 22% of our customers viewed our packaging as environmentally friendly, we did however, see a 14% increase in customer satisfaction when we used paper mailers and removed polybags. The general trends that emerged from both surveys were (1) our current packaging is very effective with 99% of garments arriving in perfect condition (2) people try to recycle or reuse our packaging (3) customers are unclear if the packaging is recyclable and (4) they want to recycle our packaging. Objective: Quantify the amount of additional polybags that can be recycled if products are shipped to customers without polybags. Result: An estimated 50,000 pounds of plastic can be retained in Reno each year. If we are able to decrease the size of our polybags (see next Objective), the quantity of plastic will decrease. Objective: Investigate how Patagonia can reduce the amount of plastic it currently uses in packaging products. Result: Folding products into smaller shapes would enable us to reduce the size of the polybag required for each product. 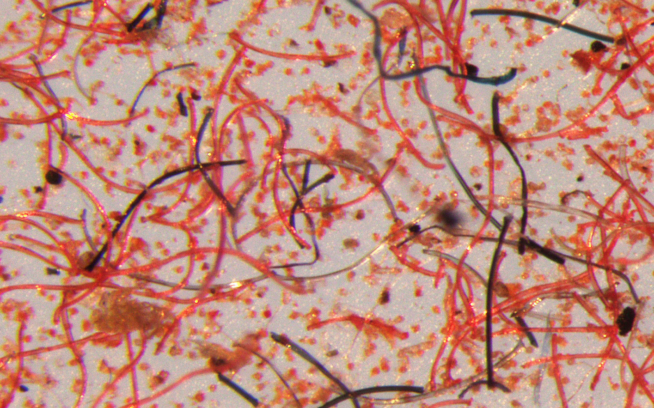 Initial work shows that this can result in nearly a 50% reduction in plastic weight on a per product level. As you can see, there are several ways we might reduce plastic waste within our system in the future. We’re currently looking into the feasibility of implementing these recommendations, and we’re always searching for new alternatives. We know some companies out there have found solutions that work for their unique distribution systems, all with varying sizes and complexities—prAna being a good example—and we’re also looking to learn from them. We’ll keep you posted on our progress. 1. Continue to use polybags at the factory level. We found that polybags are an effective barrier to damage that can occur during shipping and while going through the Reno picking system. A damaged product that is unwearable has a far greater environmental cost than manufacturing a polybag. 2. Reduce the size of polybags used. Many of our products are packaged in polybags that are far larger than the product. We recommend implementing packaging and folding guidelines at the finished goods factory level that require a reduction in the size of polybags. 3. Do not use paper mailers. We found that the two types of paper mailers we tested were barely strong enough to survive the journey through the DC. We expect that they will not consistently reach customers unharmed. 4. Continue to recycle all polybags collected in the DC. Baling the polybags that are collected in Reno is key to minimizing the waste we produce. 5. Educate our customers. The survey responses inspired an unexpected recommendation which is to provide our customers with more information about how to recycle their packaging. 6. Source recycled polybags. By using recycled polybags we can reduce the amount of virgin petroleum we use in our packaging. We have started investigating the potential to source recycled polybags. 7. Increase polybag recycling at wholesale dealers. We have a tremendous opportunity to reduce the amount of plastic that ends up as waste by working with our wholesale dealers to ensure that polybags are recycled. Nice study, but how do I recycle the polybag that protected my Patagonia fleece? Customers who don’t have curbside options for recycling polybags are welcome to do the following. 2. Drop them off at the Patagonia Retail Store nearest you—ideally, while you’re running other errands, to reduce environmental impact. Both of these options apply to Patagonia garment recycling as well. 3. Many grocery stores take back plastic bags and the bags we use can be recycled in a grocery store recycling stream. Follow this link and enter your zip code to find a plastic bag recycling location near you. Thanks to everyone at the DC for accommodating us while we performed these tests. Nellie Cohen is Product Responsibility Analyst and Elissa Loughman is Manager of Product Responsibility for Patagonia. They work on special projects related to Corporate Responsibility and Environmental Assessment.